The country of Ireland is internationally popular, for it’s heritage, people and music. Currently, Ireland holds the record for winning the Eurovision Song Contest seven times. This international respect means that visitors to Ireland have high expectations for hospitality and tourism. It is also well documented that these visitor’s leave Ireland with an experience far greater than their initial expectations in every area surveyed. In turbulent times, it is increasingly difficult to find safe holiday locations. More traditional and popular tourist spots in Europe & the Mediterranean are being replaced with the quieter, more relaxed holiday destination that is Ireland. Travel Weekly reader’s choice for 2016 as the best destination in Europe was awarded to Ireland. Overall, in 2016, tourism in Ireland was up 9%, and continues to rise year-on-year. Ballynoe House’s purpose-built luxury self-catering holiday lets will increase capacity in the increasingly popular West Cork tourist market, which remains short of accommodation in the luxury and self-catering categories. Having every bedroom en-suite means less time spent getting ready for your day and more time to get out and enjoy what is on offer. Ballynoe House is a short-drive from most of West Cork’s attractions, between Cork City and Bantry. In the photograph (below) taken from the hinterland, Ballynoe House is situated on the horizon, far left side. 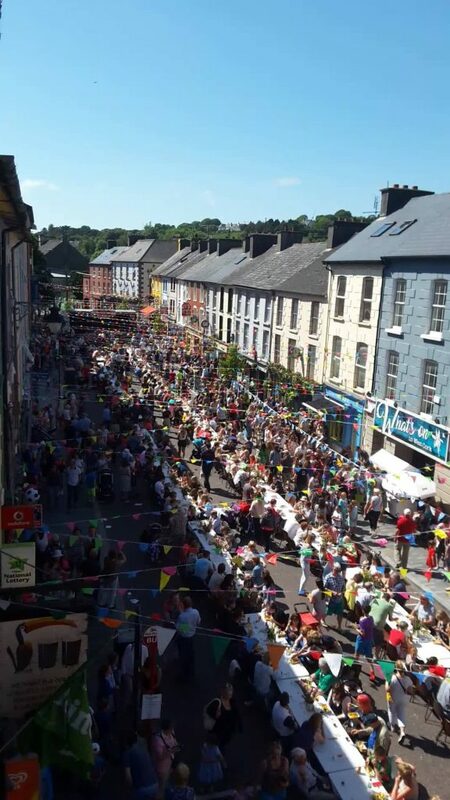 West Cork is popular in it’s own right as well as being part of the Haven Coast section of the Wild Atlantic Way, thanks to the town of Clonakilty that continues to set the pace in terms of awards, festivals and activities. The area is also a popular destination for weddings. Clonakilty is the award-winning tourist hub in West Cork. There is lots to do in the surrounding area. 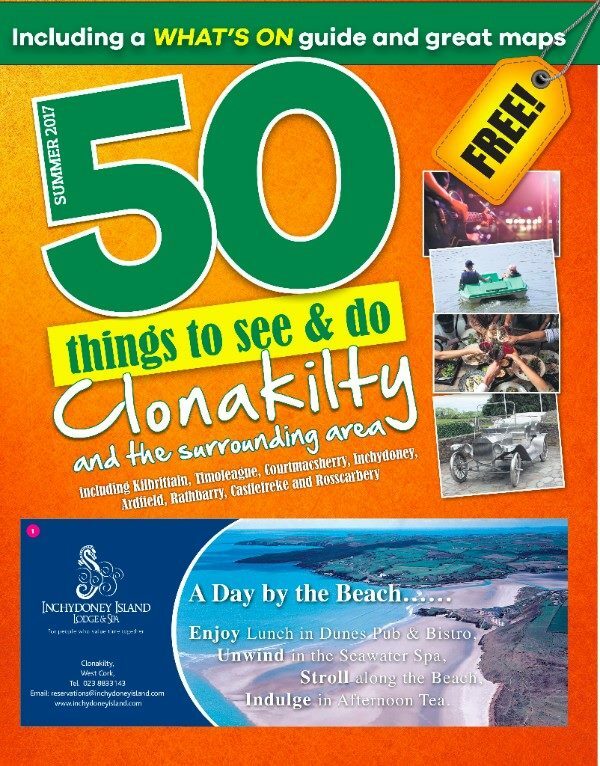 Each season, copies of “50 Things to See & Do” are available at the local Tourist Office and other outlets. Why not book with us?